Oxford records his attempt to keep Southampton in his mind’s eye at all times, as events lead either to his son’s execution or to a reprieve. 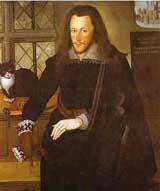 His royal son must wake each new day “elsewhere” — in the Tower — and yet Oxford continues to “play the watchman” and stand guard to protect Henry Wriothesley’s life. 2 – My heavy eyelids to the weary night? 4 – While shadows like to thee do mock my sight? 6 – So far from home into my deeds to pry. 8 – The scope and tenure of thy jealousy? 9 – O no, thy love, though much, is not so great. 12 – To play the watchman ever for thy sake. 14 – From me far off, with others all too near. 2 MY HEAVY EYELIDS TO THE WEARY NIGHT? 4 WHILE SHADOWS LIKE TO THEE DO MOCK MY SIGHT? 8 THE SCOPE AND TENURE OF THY JEALOUSY? 12 TO PLAY THE WATCHMAN EVER FOR THY SAKE. FOR THEE WATCH I = for you I keep watch; “Whilst I, my sovereign, watch the clock for you” – Sonnet 57, line 6; “Therefore I have entreated him along with us to watch the minutes of the night, that if again this apparition come, he may approve our eyes and speak to it” – Hamlet, 1.1.29-32; WHILST THOU DOST WAKE ELSEWHERE = while you – Southampton – exist in the Tower; WAKE = echoing the “wake” related to a funeral; “There is no doubt that the poor, especially in the more remote counties of England, continued the old custom of the wake, or nightly feasting before and after a funeral. Shakespeare uses the word in connection with a night revel in Sonnet 61: ‘For thee watch I, whilst thou dost wake elsewhere.’” – Percy Macquoid in Shakespeare’s England, Vol. 2, 196, p. 151; Oxford knows Southampton is in the Tower, of course, but he cannot know exactly where or if, for example, Southampton has been taken to the Privy Council room in the Tower for questioning, to one of the torture rooms, or even to the place of execution; the situation is still volatile, with Cecil having the power of life or death and holding the threat of legal execution over him; so the echo of a “wake” preceding a funeral is quite apt. 14 FROM ME FAR OFF, WITH OTHERS ALL TOO NEAR. On the surface Hamlet appears to be referring to an Elizabethan notion that melancholy grows worse when the wind comes out of the north; his madness worsens when the wind is northerly, but, when it’s southerly, he grows clear-headed and can tell one different thing from the other. 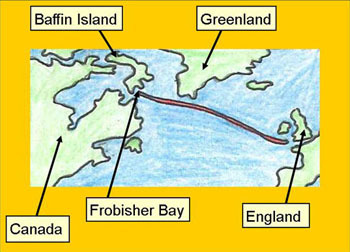 On another level the author, Edward de Vere Earl of Oxford, is referring to his own investment in the 1578 expedition by Martin Frobisher to discover the Northwest Passage to Cathay, or China – an act of financial madness ending in his loss of all three thousand pounds that he had put into it. The earl’s share soon rose to three thousand pounds. 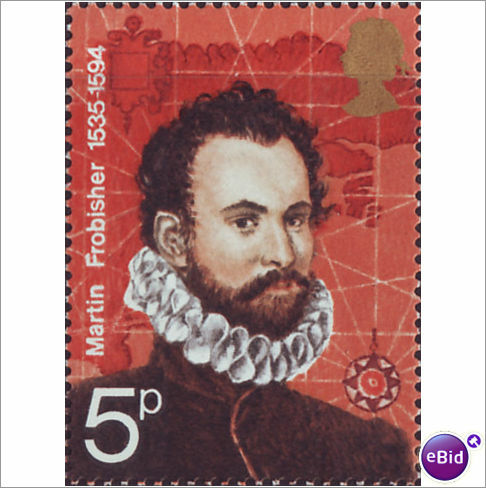 He entered into bond to buy the stock from Michael Lok (or Lock), a London merchant who also did business in the Mediterranean. The two men may have met in Venice or Genoa, during Oxford’s 1575-76 travels in Italy. Oxford became the largest investor – that is, the gambler with the most at stake. 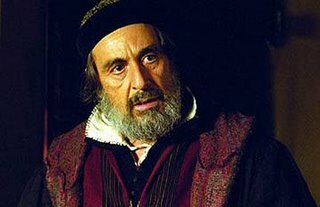 The expedition resulted in no gold, however, so Oxford got no return at all – a staggering loss of three thousand pounds, the sum for which he was “in bond” to Lok, akin to the three thousand ducats for which Antonio in The Merchant of Venice is “in bond” to Shylock. A mob of furious men attacked Michael Lok, with Frobisher himself calling him “a false accountant to the company, a cozener of my Lord of Oxford, no venturer at all in the voyages, a bankrupt knave.” Convicted upon testimony that he had known beforehand that the ore was worthless, Lok wound up in the Fleet prison. Added to Hamlet’s mention of “north-north-west” (for the Northwest Passage) are the repeated references in Merchant to “three thousand ducats” (echoing Oxford’s three thousand pounds) and the “bond” (echoing Oxford’s bond), not to mention the name “Shylock” and its similarity to the name of Michael Loc or Lock. 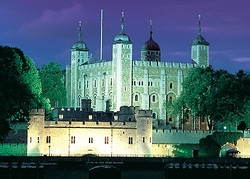 On 2 February 1580, a little over a year after the fiasco of the third Frobisher voyage, The History of Portio and Demorantes was performed at Whitehall Palace by the Lord Chamberlain’s Men, whose patron was Thomas Radcliffe, Earl of Sussex, under whom Oxford had served in 1570 in the successful (and brutal) campaign to defeat the Northern Rebellion of Catholic earls. Sussex had been Oxford’s mentor and supporter at Court ever since; and in the view of Eva Turner Clark, Portio and Demorantes was the early version of Edward de Vere’s play The Merchant of Venice, to be attributed to Shakespeare two decades later in 1598. The orthodox dating of The Merchant of Venice has been roughly 1596, but all the major sources for the play were available by 1558, according to Joe Peel and Noemi Magri in Dating Shakespeare’s Plays (2010) edited by Kevin Gilvary. And others connections to Oxford and Elizabeth and the doings at the English court are so strong that this play will become a separate “reason” to believe that Edward de Vere was the great author and, in 1593, adopted “Shakespeare” as a pen name.